The first shutters (as we know them) came long before glass windows, 500 years ago during the Tudor England period. These shutters were made of thick wooden boards and were made purposefully to block out light and the brisk English weather while a large iron bar locking the shutters together prevented thieves from entering. A few decades later and glass windows came along. As glass was deemed a luxury expense, instead of fitting windows, most people had half glass, half shutter arrangement. This style was the basis for the more contemporary cafe style shutters we see today. After the 16th century, the shutter moved beyond functional purposes, with lavish decorative woodwork becoming statement pieces of the home. It was during the Victorian period when walls and window recesses became thinner, allowing shutters to be moved from the inside of the home to the outside. As the Americans became colonise, shutters grew in popularity among homeowners of large homes and mansions and were viewed as a status symbol among the higher classes. These shutters had much wider louvres than their predecessors and were commonly painted white to reflect the hot sun. Today, there is a wide range of shutter styles available. 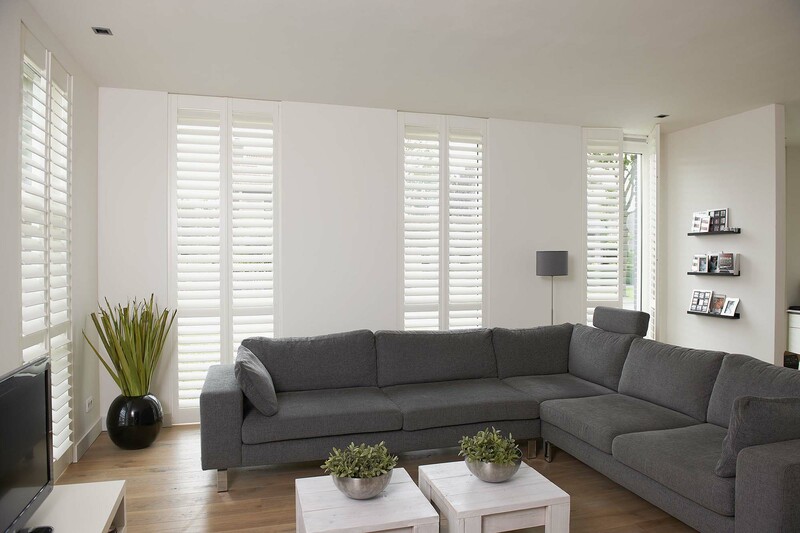 From modern forms to bespoke space, shutters have the ability to fit any space, regardless of the window shape and size. Shutters have never gone out of style as they boast endless properties and look fantastic. Call Totally Shutters today on 0845 299 7757 to arrange your FREE no obligation in-house survey. All shutters come with a 5-year guarantee.